Born out of the commercial door business, Richards Wilcox Residential Doors are not only one of the strongest, most efficient door systems in the world, but also offer a complete range of residential garage doors that will make your home look beautiful for years to come. 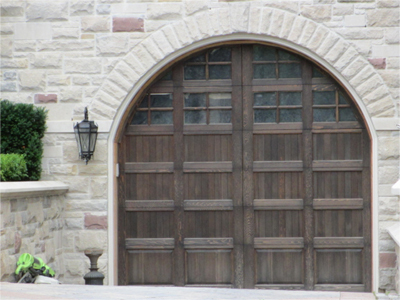 RW door models include our Rockwood-TM, Echo Ridge-TM, Briarcrest, Grandview, Premium and Classic door models. STRONG, RELIABLE, ENGINEERED DOOR SYSTEMS BUILT TO THE HIGHEST INDUSTRY STANDARDS! In business since 1912, Richards Wilcox has established a reputation for exceptional quality and customer service. RW’s sectional overhead doors are engineered to the highest industry standard, using superior hardware components and exclusive Neufoam-TM Polyurethane. RW’s complete range of overhead doors includes our Thermatite-TM, Alumatite-TM and Polytite-TM Series of door models. Our Neufoam™ polyurethane insulation is zero ozone-depleting to help reduce greenhouse gas emissions. Woodgrain embossing simulates real hardwood without depleting our forests. Authentic woodgrain texture on panels gives you the aesthetic of wood without the cost or hassle of maintaining it. Built to withstand many different weather conditions, our doors have a continuous polyurethane insulated core, arctic-grade bottom seal and dual-seal section joints to help reduce air flow and lower your energy costs. A door is only as good as its installation. That’s why our doors are only installed by Authorized Dealers. This process ensures that every installation meets our standards of quality. Richards-Wilcox believes in home grown goodness. From parts to panels, RW doors are made in Canada. This morning, my car was trapped in my garage due to a broken garage door spring. I called RW Garage Door company at 7 am and by 8:15 am, there was a repair person at my home. I am happy to say that my garage door has been fully repaired. Trent was professional and did an outstanding job. Would highly recommend RW Garage Door company for all your garage door needs. Their employees are efficient, doing an excellent job despite some scheduling mix-up and delay. Steven Johnson installed my garage door, he is curtious, friendly, wonderful and Hilario came back to install the machine. He did an excellent job also. I appreciate how they took their time explain and answer many of my questions. They provided quality work and they are both very professional. I would highly recommend this company to my friends and family. We got garage doors from Richards Wilcox Authorized Dealer. Very professional company and very professional job. You will not regret if you deal with this company. Well done Richards Wilcox. Our RW Authorized dealer sales rep, Mara, was excellent in helping us choose the perfect garage door & opener system. The installation, by RW Authorized installer Paul, was done perfectly. He also helped coordinate things with the neighbor so our semi-detached units matched. Pricing was good and we are very pleased..
Damian, Kyle and Mara were all very professional and fantastic people to deal with. We highly recommend RW and their dealers! In fact, can't recall another company that goes above and beyond like they do. RW DOORS made in Canada! Terrific!